A bright and fun way to show your love of clever organization. 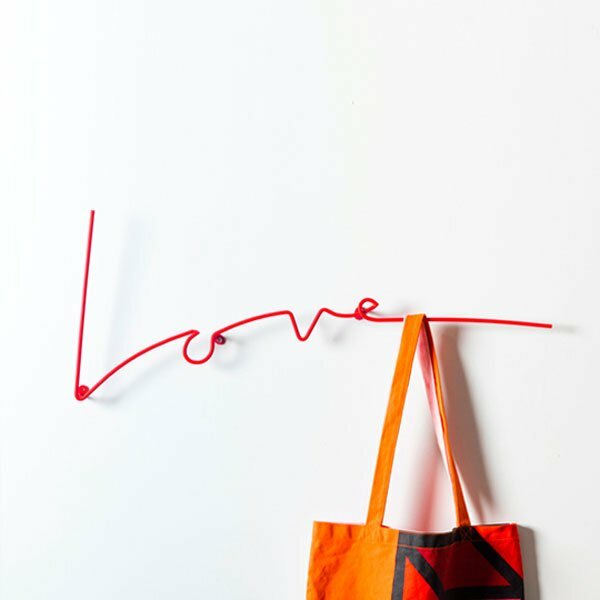 The red Love wall rack is a fantastic way to bring some fun into a room. As well as looking great, it's a fantastic way to hang up your stuff! 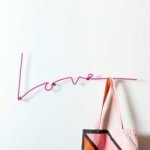 Inspired by script neon, each letter can be used as a hook for your bags, hats, coats, or scarf. Made from powder-coated steel, comes with hardware. About 28" long and 10.5" tall.